We've found ourselves in need of a new front office assistant! Click view post to see the details. All staff will be out of the office until Wednesday July 6th. Dr Henze will be back from vacation on the 11th. This Christmas Season we want to give back to our community by offering you a Free Consultation and Examination with Dr. Mike Henze, including a Computerized sEMG Scan and Digital Spinal X-Rays! Good from now through December 23rd! We had a great Thanksgiving Fundraiser this year! Thanks to everyone who came out to support the Boise Rescue Mission. We filled up over 2 barrels of food, raised $649 and had lots of fun! 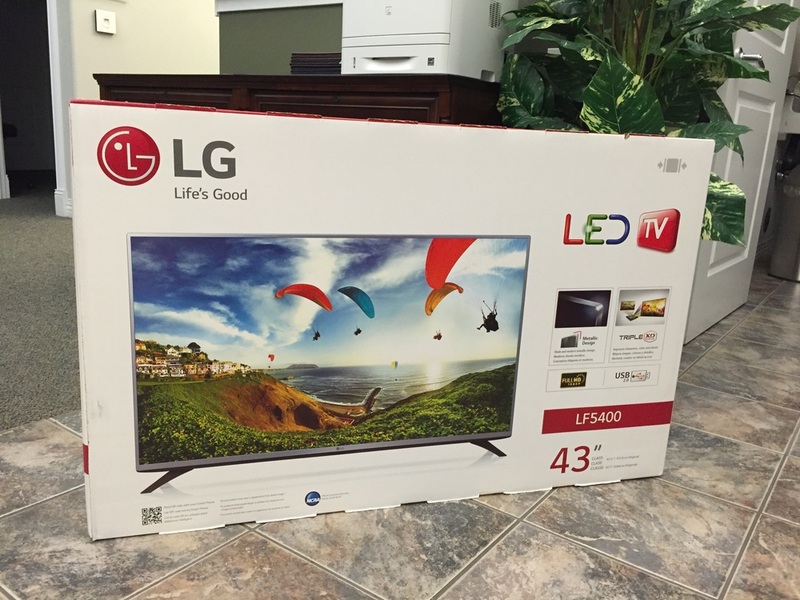 Congratulations to Cory Smith for winning the 43" HDTV! Thanksgiving is right around the corner which means one thing... The Henze Chiropractic & Wellness Thanksgiving Food Drive of course! 10 cans of food for the Boise Rescue Mission OR $10 (all profits donated to charity) is all you need to get adjusted! Have a friend or family member who could use some Chiropractic care? Are you new? NOW though November 21st, 25 cans of food OR $25 (all profits also donated to charity) gets them/you a full new patient exam complete with digital X-rays! Secure this price now by picking up a Health Cheque gift card. As always on the 21st there will be a jump house, door prizes, delicious free food, and we will raffle off a 43” HD T.V.! Trennon and Tymberlyn Talbot are practice members. Their mom made up this poem for them to perform for everyone! We're so excited for everyone to see it. We are so impressed by how much this family has learned at our clinic and by the creative way they are sharing it with others. This adorable poem is so simple but so accurate and powerful. The way they act it out is just the icing on the cake :) Great work guys!